Described as the biggest restoration project since Heligan, Leonardslee reopens in 2019 to show what they have achieved restoring the gardens, the Dolls House Museum and Rock Garden. 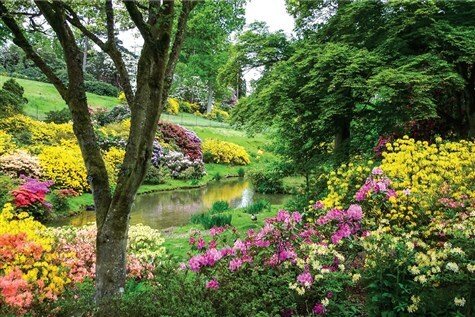 The gardens are famed for their spring displays of rhododendrons, azaleas, camelias and magnolias. The Estate is home to wildlife including foxes, rabbits, badgers, weasels, stoats and wallabies and an extensive deer park. The Dolls House Museum depicts an Edwardian Estate and neighbouring villages at 1/12th scale with landscapes and characters acting out day to day activities.